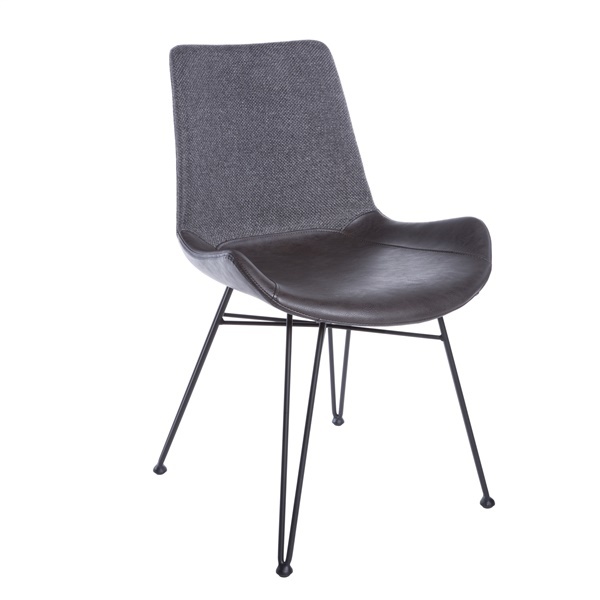 The Alisa Side Chair is sure to become an instant favorite in a home or office, and for good reason. It features a soft leatherette over foam seat for outstanding comfort, along with a fabric over foam back that delivers unparalleled support. Moreover, the side chair's black powder-coated rod steel base offers an impressive combination of style and function. Pick up a side chair that will look great in a contemporary or retro setting � the Alisa Side Chair. Boasts a soft leatherette over foam seat that is both practical and sophisticated. Includes a fabric over foam back that ensures you can sit back and relax comfortably for hours. Features a classic design to match the d�cor in a home or office. Provides a black powder-coated rod steel base that blends style and function perfectly.